Dens evaginatus (DE) is a developmental aberration of a tooth resulting in the formation of an accessory cusp. This uncommon anomaly projects above the adjacent tooth surface, exhibiting enamel covering a dentinal core that usually contains pulp tissue. DE usually occurs in mandibular premolars. This case report describes a very rare case of double DE on the permanent maxillary first molar of 14-year-old boy. 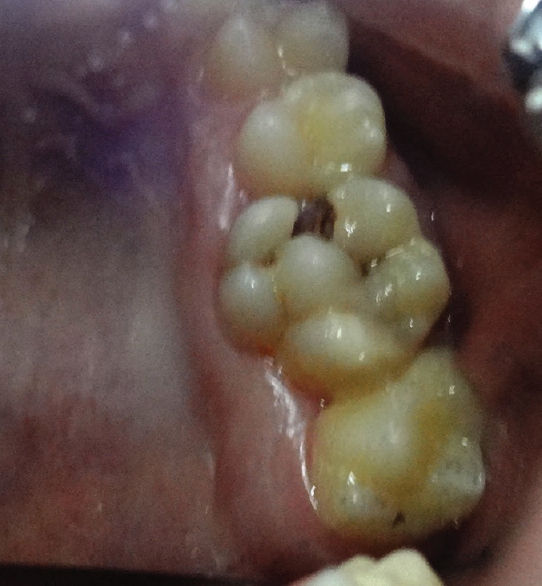 A 14-year-old boy reported for the treatment of decayed upper right posterior tooth. Family and health histories were noncontributory. On intraoral examination, no abnormalities of soft tissues were found. All the permanent teeth were erupted except the third molars. Detailed dental evaluation was carried out, and it was found that 16 had a large mesial caries. In addition to this finding, two supernumerary cusps were present on the tooth. One was in the center on the oblique ridge, and another was on the side of the mesiolingual cusp. Intraoral periapical radiograph showed the extension of the pulp into the two supernumerary cusps. 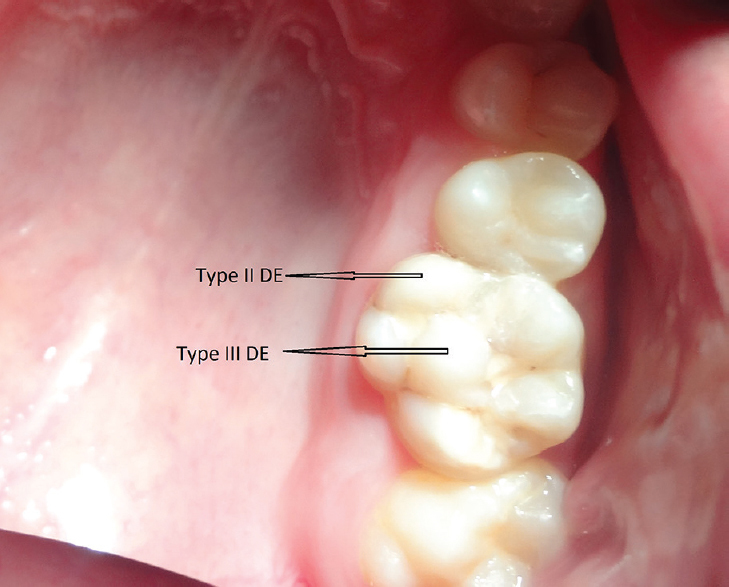 According to the presentation, we categorized the one on the oblique ridge into Schulge's Type III and another one on the lingual cusp into Type II of DE. 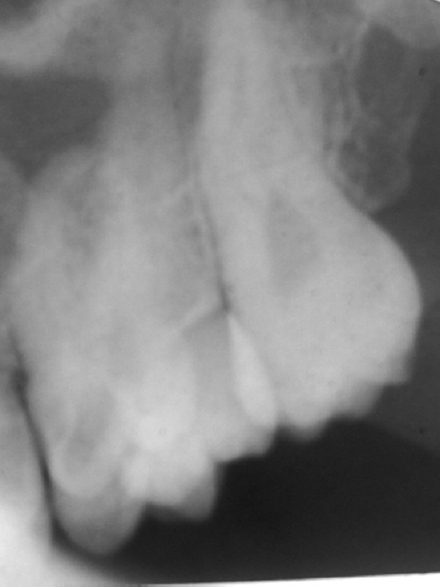 The tooth was restored with light-cured restorative material using sandwich technique as the caries was deep. The patient was on follow-up.